Looking for a quick lift? There comes a time in life when your skin starts to feel different. More vulnerable, more exposed, more demanding. Lancaster with over 35 years experience in Retinol technology introduces the leading edge Retinol-Matrix complex. 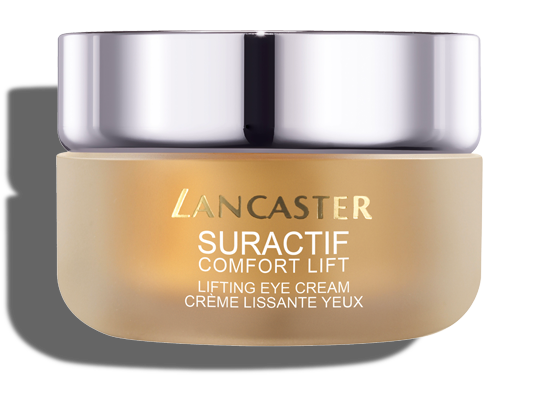 Suractif Comfort Lift exclusive ingredients interact at all skin levels for visible results: lift, illuminate and comfort. From age 50, daily wear-and-tear start to show on your skin. Your complexion starts to lose some of its youthful bloom, your skin feels drier, looks dull and tired, lines and wrinkles settle in… it’s time to take control. 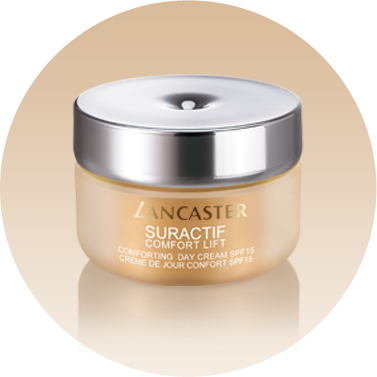 SURACTIF COMFORT LIFT combats skin slackening with a lifting action, for firmer, softer, more supple skin. Retinol was first introduced in cosmetics by the Lancaster laboratories in 1976, creating shock waves in the industry. The prestigious skincare line, SURACTIF was launched. Ever since Lancaster has regularly updated its ground-breaking Retinol technology to stay one step ahead in terms of age-defying skincare. 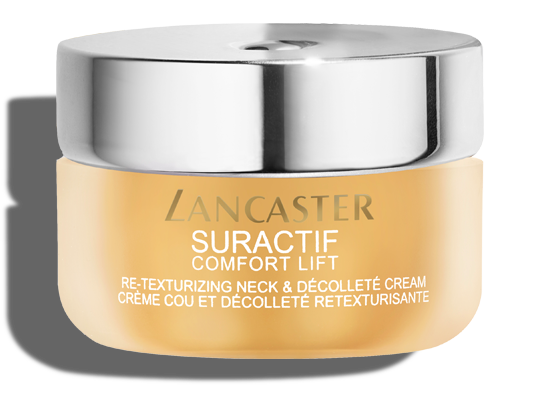 SURACTIF COMFORT LIFT combines an innovative Retinol Matrix Complex with compounds adapted to all skin levels, with Double Dermo-Grip technology that acts between deep skin layers and the surface. It really works. 90%* satisfaction with overall performance, 83%** found skin firmness improved. It leaves your skin feeling ultra-comfortable. It keeps your skin looking smoother and firmer. Team Suractif Comfort Lift with 365 Skin Repair Serum to significantly boost moisturizing performance. *Tested on 122 women combining 365 Skin repair Serum and Suractif Comfort Lift, after 2 weeks (women perception).